S Catherine's Foundation Phase comprises double Grade 1, 2 and 3 classes. The Foundation Phase at St Catherine’s School comprises double Grades 1, 2 and 3 classes. The pupils are educated in a loving and nurturing Christian environment which ensures that each pupil grows in confidence, makes progress, and enjoys every aspect of their school day. Our team of fully qualified Foundation Phase teachers, guided by their own HOD, is passionate and committed to providing a holistic and dynamic program based on excellence. 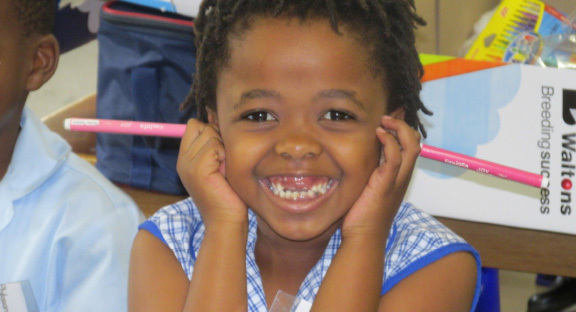 St Catherine’s Foundation Phase believes in building strong foundations in Mathematics, English and Life Skills through the development of critical thinking skills, creativity, a sense of inquiry and the ability to make the correct choices. Our small classes are a key element in this process. Pupils also benefit from the expertise of specialist teachers in Physical Education, Computers, Music and Drama as these play an essential role in cultivating self-confidence, team work, imagination and effective communication skills. We respect and celebrate diversity in our classrooms. Trust, honesty, faith and family are some of the core values of our daily life within the Foundation Phase.